The company has taken its expertise and translated it to product designs for our demanding customers. JKTOP partners are located in the USA, Germany, Canada, the Netherlands, Poland and Taiwan. In a world of conglomerates in the Lighting, Digital Signage and manufacturing industries, JK TOP-Industrial C0., LTD remains privately owned. Our plant can handle large volume orders from the initial design stage to manufacturing and world wide shipping. JK TOP-Industrial C0., LTD is a design, engineering and systems integration firm that transforms customers’ ideas and requests into reality. The firm strives to provide the best and most appropriate solutions. For Audio & Visual, Security, Health Care Communication and Educational Systems. We meet our customers’ functional, budgetary and implementation requirements. As a leading manufacturer of LED lighting and electronic products, we always keep close and updated to the latest technologies. By using the latest technological innovations, we affect people every day. Therefore providing a positive impact on national security, corporate, health care and education systems worldwide. Moreover, we provide custom design, high-end systems, integration services, on-site support as well as ongoing maintenance. 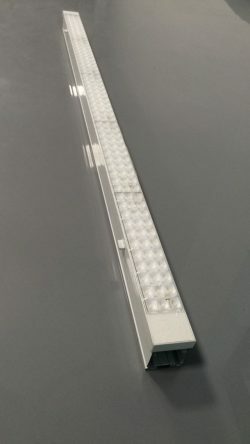 One important Engineering example is our unique and universal LED retrofit solution for Linear Trunking Lighting Systems. A JK TOP-Industrial C0., LTD LED Wall is ideally suited for retail applications, it delivers a big visual effect with maximum impact. LED displays are easy to install, power efficient and most importantly reliable. Their bright image displays and ease of use make them an attractive option for many different settings. Store signage, billboards and other advertising, destination signs, stage shows, indoor displays, and more. The brightness of LED panels is probably the main reason they are supplanting projectors as the top choice of visual technicians. The technology has moved ahead considerably and costs have reduced. You’ll be surprised by both how much can be achieved and the amount it costs. LED Wall signs can now be lower cost than conventional multiscreen based solutions. They are brighter, borderless, longer life and more reliable than other alternatives. Especially when there’s ambient light, such as at outdoor music festivals, ballparks, stadiums, and fashion and auto shows. LED panels are the clear choice. Ambient lighting will make a projected image more difficult to see, it will not have any effect on the visibility of an LED image. Depending on the venue, a LED Wall may not even need to be run at their full brightness. Therefore they can last even longer than they’re supposed to and require less energy to operate.